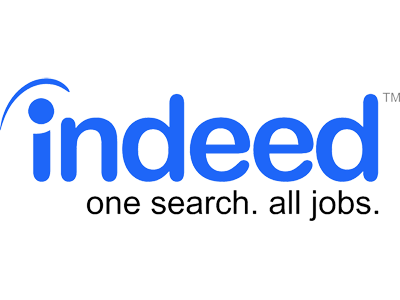 Indeed has built a reputation as the most comprehensive tool for job seekers and job advertisers alike. With thousands of vacancies in hundreds of sectors posted daily, the problem can be one of sifting through volume. Fortunately, there are some Indeed features that many people are not aware of – tools that can help you find the roles you care about more efficiently. Here we’ll look at 5 ways you can use Indeed better – while also cutting down the time you spend searching. Using Indeed can be overwhelming – it’s a search engine for jobs, so a non-specific query can mean you are inundated with roles that don’t quite meet your expectations. Keyword matching – To search for a particular phrase, place it in double quotation marks. You can use this technique to find jobs at the level of qualification you have achieved – “entry level marketing” is far more specific than marketing. Plus, if you know you are proficient in a particular skill but aren’t sure exactly what field you’d like to work in, search for it. Using those double quotation marks around a particular skill will display positions that include that skill in either the job title or description. Searching for “touch typing”, for example, will render results where that skill has been specified by the advertiser. ‘Company:’ – If you want to work for a specific company – we’ll use Google as an example – then search by using ‘company:’ in front of your search term. Searching for ‘company: Google’ will only display jobs that have been posted directly on behalf of Google. Naturally, this can be altered to apply to any organization, based on your requirements. ‘Title:’ – If you are looking for a certain job title then use ‘title:’ in front of your search term. A search for ‘marketing’ could, for instance, become ‘title: “database marketing”’, which would narrow down the results significantly. Excluding something from your search – If you want to work as a magazine editor, for example, but don’t want to work in fashion, then Indeed can help. Search as you would normally do for a particular role – title: “magazine editor” – and then add a minus sign (-) to exclude the results you don’t want to see. Make sure you don’t add a space after the minus sign. Get notifications for jobs that become available within those sectors that you have an interest in. If you want to work in digital marketing, as an example, you can set up an alert to trigger an email notification whenever a suitable digital marketing position is uploaded. These alerts can be sent out daily, if you’re actively looking for a new job, or weekly if your search is much more passive. Start by performing a job search using the ‘what’ and ‘where’ search fields on the website. Once you have performed your search, click the ‘Save this search as an email job alert’ link that you will see at the top of your search, enter your email address and click ‘Save Alert’. You will be sent an email and will be required to click a link to confirm your job alert. Once you have confirmed, you will be able to edit the search alert to tell Indeed how often you want to receive it. Email alerts display the type of jobs available within the sector and in your location, the company or agency advertising the position and, in most cases, the salary range advertised. Clicking on a particular role takes you straight to the job’s landing page, where you will be able to read further details and submit your application if so desired. 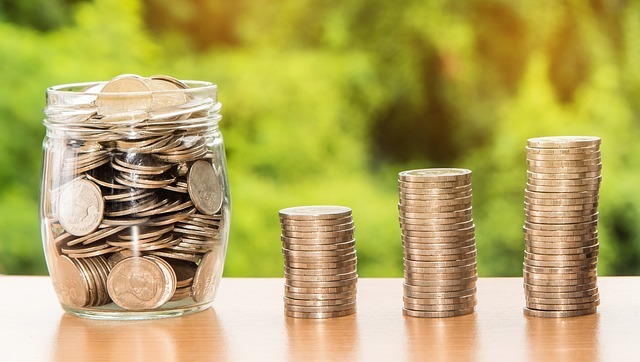 Being able to confidently negotiate salary is a skill in itself – you should be well aware of the salary range offered to people of your experience within the sector you are applying for. And Indeed can assist you in researching that range. The salary search options provided on Indeed allow you to specify location, position and industry, and give you results that show the average salary for that specific role. If a position is offering a salary that is significantly lower than the average salary, you can use this data to negotiate with the employer. You can also use this feature to work out where will be the best place for you to work within that particular sector – by examining data for average salaries across states, cities and regions of a country. Click on the Find Salaries’ link on the toolbar at the top of the indeed.com website. Use the search bar to search for certain companies (you will see a drop-down menu of the companies that they have data for, not all are listed) or job titles. Refine your search by location using the drop-down menu. On the right-hand side of the page, you will see salaries for ‘Related jobs’ to help you narrow down your search, and further down salaries for featured employers related to your search terms. Keeping on top of your applications – particularly if you’re sending out a lot – can be tricky. Indeed’s dashboard is an effective tool for keeping on top of things and ensuring that you know which roles you've applied for. The ‘My Jobs’ section of Indeed allows you to keep all of your applications in one place – if you receive an offer of an interview, you can insert the interview date into your calendar. Any messages you receive from employers will be flagged up here as well, so you're kept in the loop about what is happening with your applications. As you perform your job searches, use the ‘Save’ button to save the job to the ‘My Jobs’ page. If you are no longer interested in the job, you can move it into ‘Archived’. When you apply for a job it will automatically appear in the ‘Applied’ section and then you can move the job between ‘Interviewing’, ‘Offered’ and ‘Hired’. If you’re looking for a particular salary, then use the salary information available on Indeed and applying a realistic salary expectation to your enhanced search. Adjusting location can also result in an increase in salary, so it's worth checking to see which cities offer the best salary. Sometimes, particular skill sets might not align themselves within the sector that you anticipated working in, so being open-minded and looking outside of your designated sector could pay dividends. You may have to ask yourself what is more important – working in a sector that you love and aspire to, or earning a particular salary. Setting out your own priorities will ultimately speed up the process of finding a new role. To truly benefit from the features that Indeed has to offer you should use them in collaboration with each other. Optimize keywords to find a position that meets your expectations. Set up email alerts to keep you well in the loop. Use salary information to negotiate the best pay for your time. Organise your applications via the jobs dashboard.